Our board member, Donna Starling, has developed an illustrated history tour with 25 signs to go along The Loop that reveal history on that site or nearby. 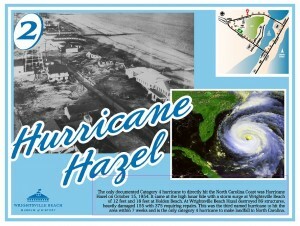 Each sign has an array of vintage photographs and information on Wrightsville Beach that tells the story of that site. On tour days the signs will be up from sunrise to sunset so you can walk the 2.45 miles and pick up history tidbits and trivia about our favorite beach. 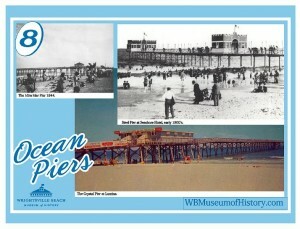 On other days a brochure at the museum and a page on our website will be available for those interested in the tour. Friday and Saturday, Nov ember 25 and 26 was the tour’s unveiling. The tour will be up again on Saturday, December 10 for the 8th annual Jingle Bell 5K Run and Walk. A minimum of 6-8 more dates for the tour signage will be announced in January. Walk along The Loop and explore local history. 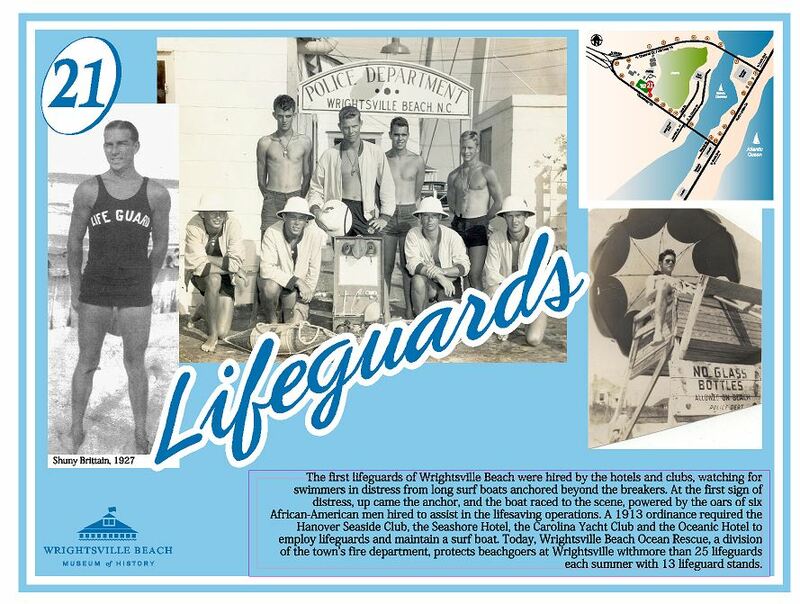 25 stops that highlight current and past Wrightsville Beach and Harbor Island sites have been developed all along the 2.45 miles of The Loop. 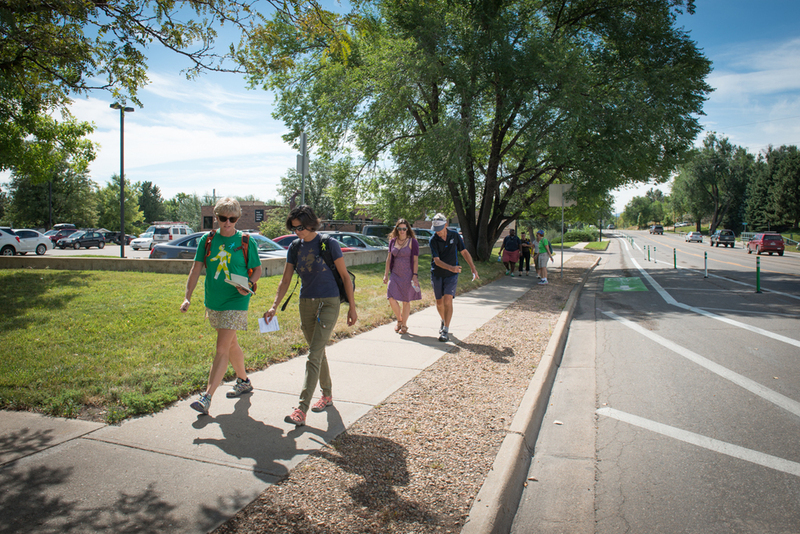 Each stop has a sign that includes vintage photographs and an informative paragraph describing the historical context of that area. 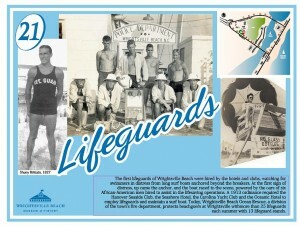 This is a fundraiser for the Wrightsville Beach Museum. Annual sponsorships of the individual signs are available for $150. 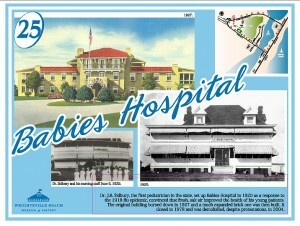 Contact the museum or come by to choose a sign to sponsor. Individuals have been sponsoring sites that have meaning for them or ones that are near there home. 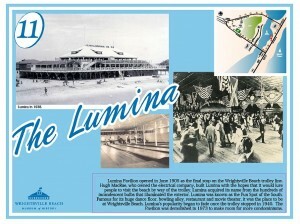 This is a great Christmas gift for someone who loves Wrightsville Beach.